Hello friends! 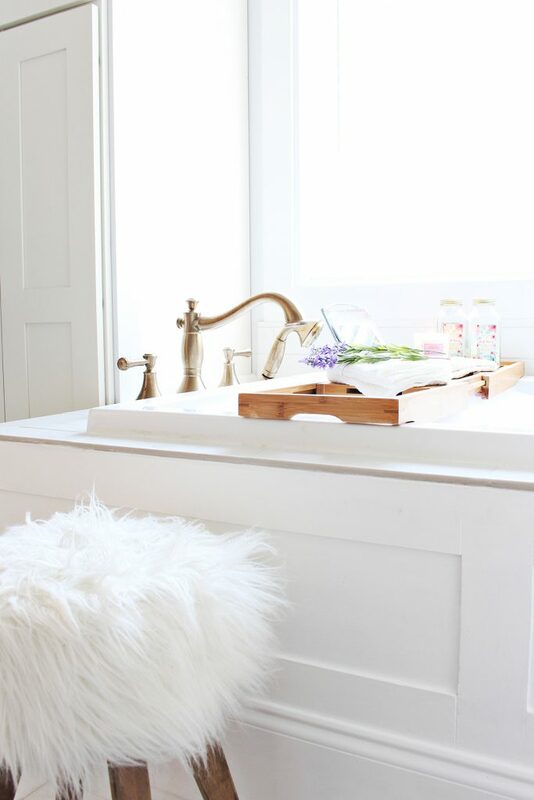 I am so excited to finally be sharing more info about my recent bathroom makeover! It was my biggest undertaking to date but I am so thrilled with the turn out. 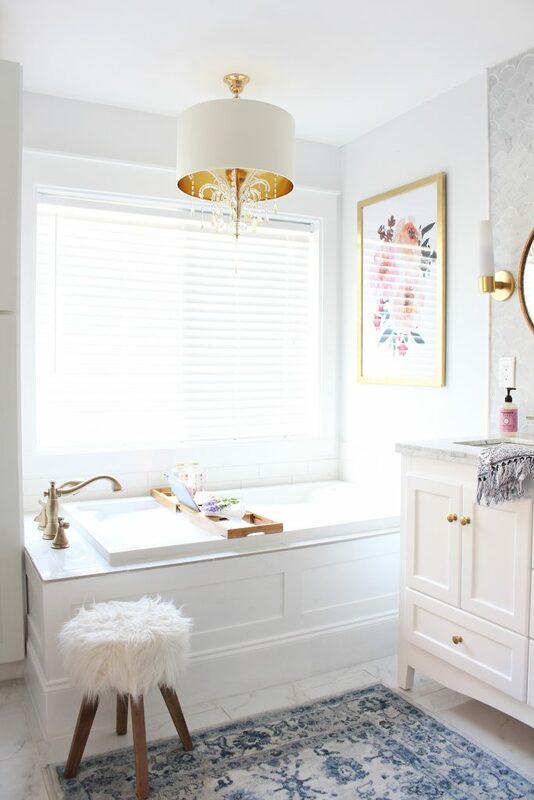 For this space, I knew I wanted a primarily “white” bathroom. I chose white finishes, white paint and a lot of marble which had variations of white and grey in it. I knew I’d accessorize with a bit of color and I wanted a warm metal (gold, brass, bronze) to accent the space. 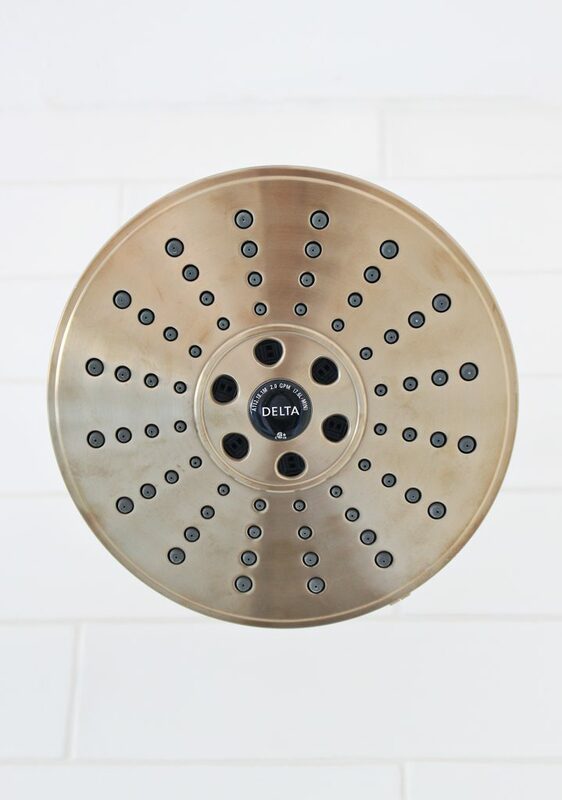 When shopping for bathroom fixtures, I was drawn to Delta’s Champagne Bronze finish and this sealed the deal for my decision. I knew the warm metal finish would really pop against all of the white in the space. For the bathtub, I chose the Cassidy Roman Tub and Hand shower trim in Champagne Bronze, of course! 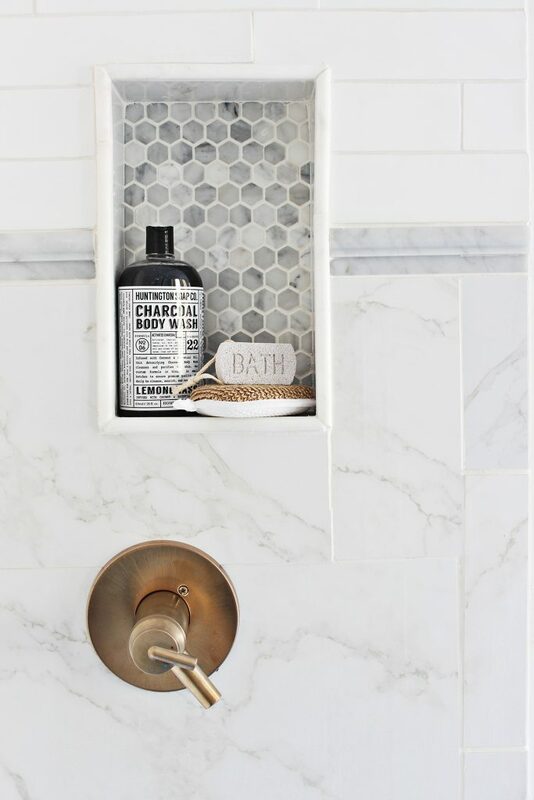 I absolutely love the lines of this piece and the hand shower is amazing! 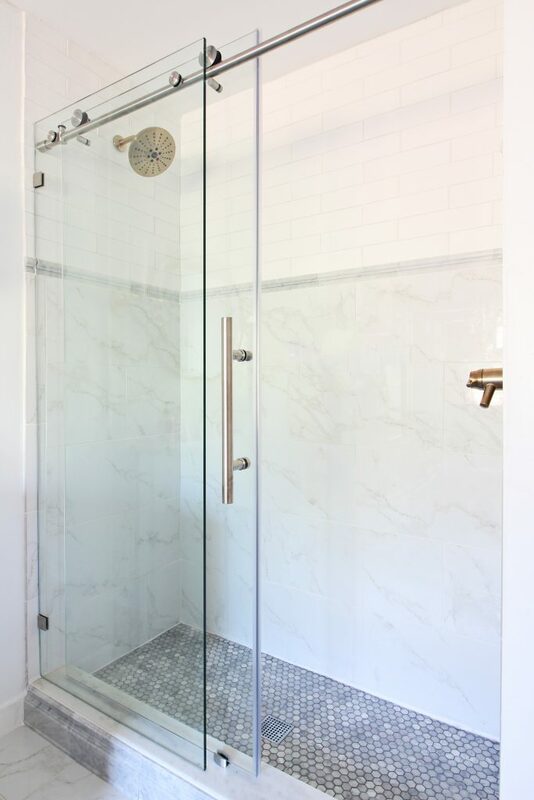 For the shower I chose the Trinsic® TempAssure® 17T Series H2Okinetic® Shower Trim. We mounted the shower head on the opposite side of the faucet controls so you don’t get wet when you turn it on. I love this added feature and functionality to the space. 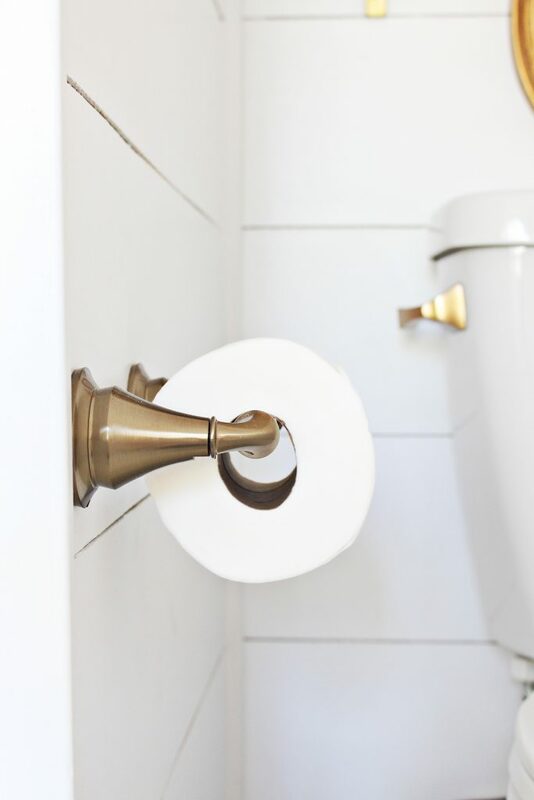 The little details much such a difference and this little tissue holder (Linden Toilet Tissue Holder) is my favorite. 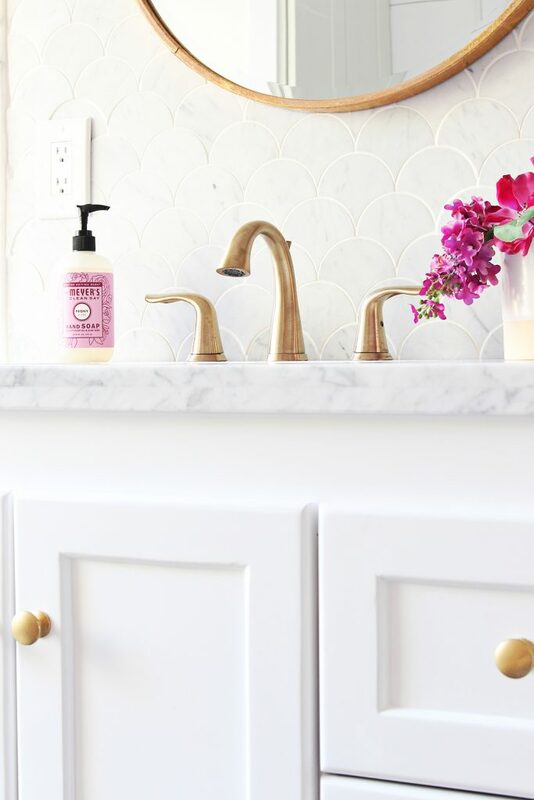 I love that it matches the faucets and feels so custom to the space. The Linden Towel bar was another added customization. 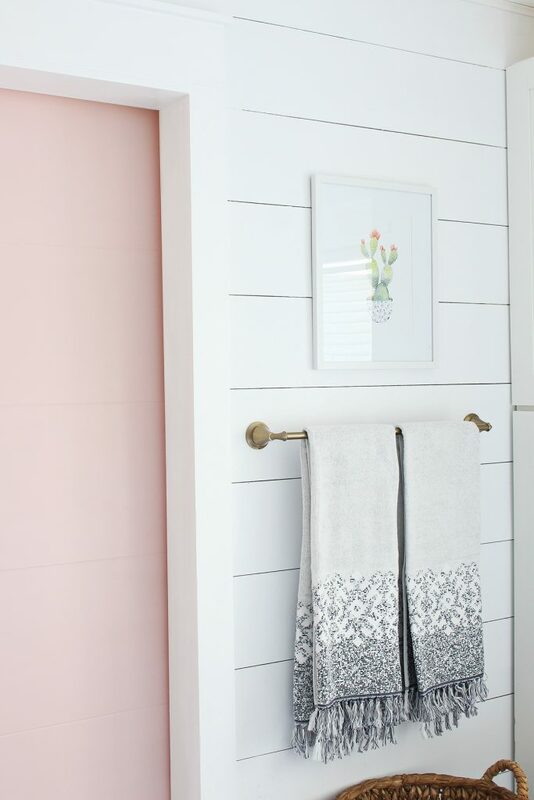 It really pops off of the white shiplap and I love the champagne bronze finish. 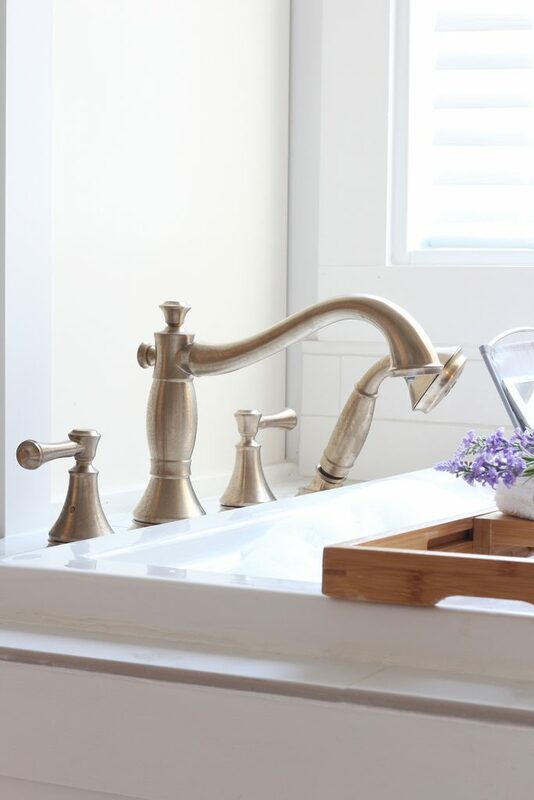 For the sinks, I chose the Laraha Widespread Lavatory faucets. 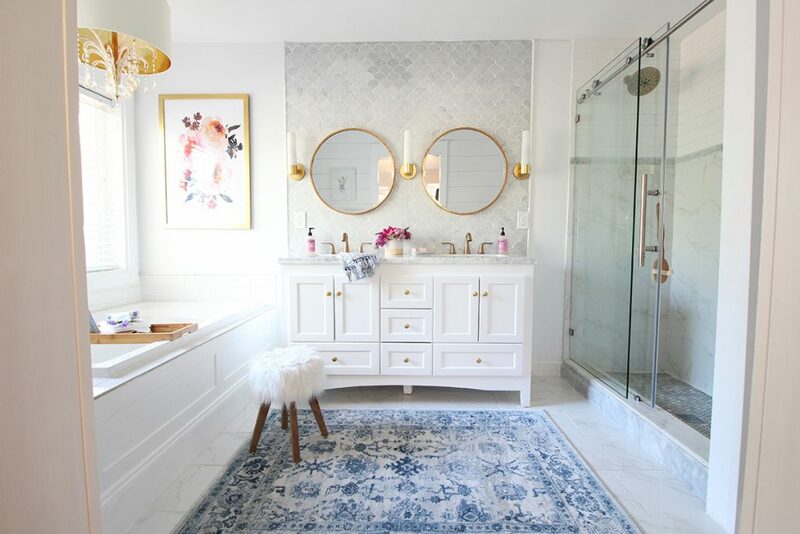 My bathroom was literally my favorite room in the house, which is crazy to say! It matches my master bedroom and is the perfect combination of function and a little bit of glitz and glam. 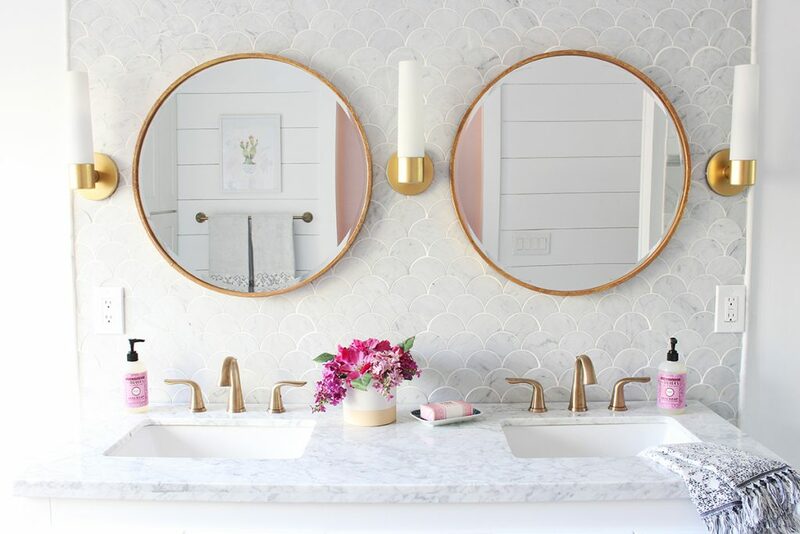 I am missing it terribly since we moved but I have big plans for our new master bathroom including some of the same finishes. As always, let me know if you have any questions! Thanks so much for stopping by! This is so gorgeous! What a beautiful design! What is the name of your cabinet? Absolutely stunning! May I ask where you purchased your sconce lights? Please where did you got this rug?